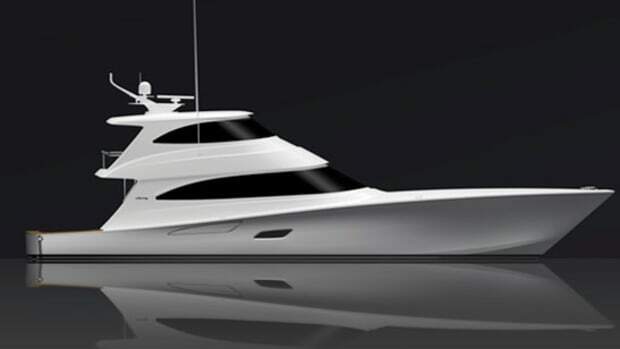 The partnership of New Jersey-based Viking Yachts with England&apos;s Princess Yachts has produced yet another express cruiser on the drafting board. 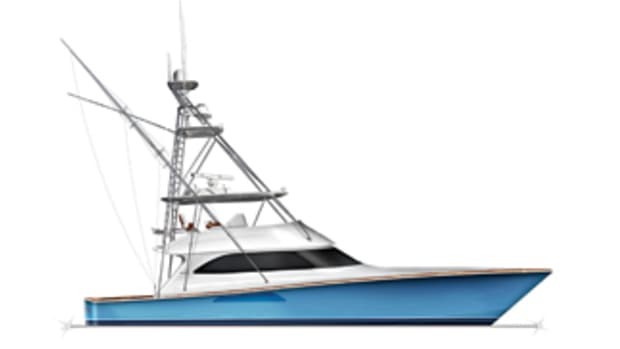 The project, which is meant to fill the gap between the Viking Sport Cruisers V65 and V85, includes the largest fully resin-infused hull the company has built to date. This Bernard Olesinski-designed vessel should align with Viking&apos;s long-held reputation for stalwart seakeeping. But other precedents are meant to be broken, and interior styling is one of them. The look is chic, more Italian than American. 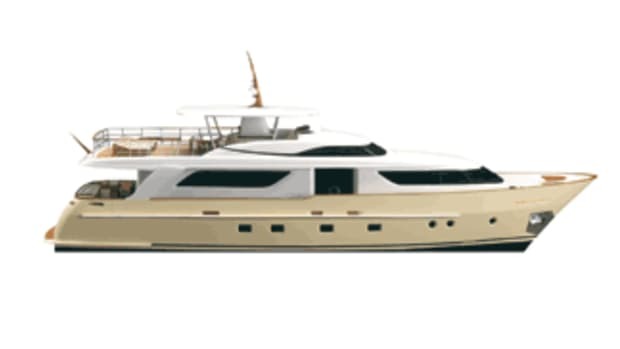 Cream-colored leather dominates the saloon; it can be found on the eight-person C-shape settee to starboard, a couch across from it, and forward in the dining nook to port. The galley-down layout both affords more room in the saloon and removes any vertical partitions, leaving the area with an airy openness (accentuated by three skylights) and an unbroken flow. 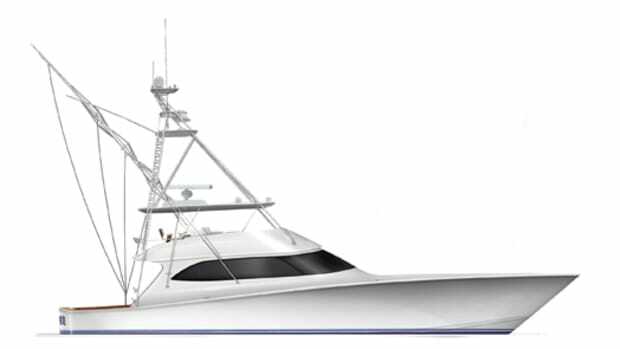 At 76&apos;4" overall, the V78 boasts accommodations for eight guests and two crew, and the strong styling permeates here as well. The master stateroom is simple and spacious, with an aft-facing king-size mattress, writing desk, and starboard-side divan as the only standard furnishings. Between the stateroom and the engine-room bulkhead is a walk-in closet and the head with his and her sinks. Some of the on-deck features are also more reminiscent of European designs. 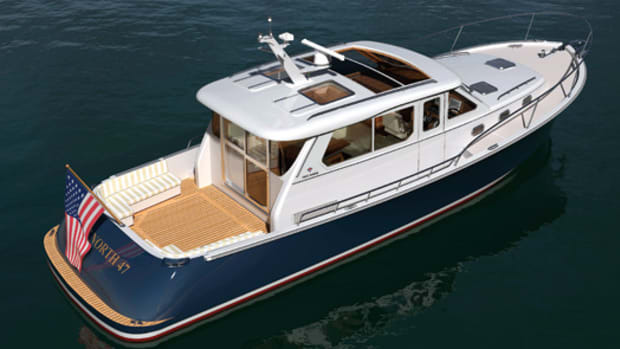 A tender garage with a winch-and-roller system is housed under a large sunpad, as is the entrance to the crew quarters. 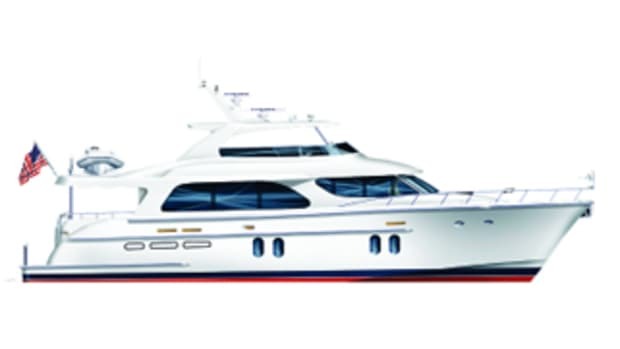 Staircases on either side invoke the styling of much larger vessels, as do the opposed teardrop-shaped windows that grace the superstructure. 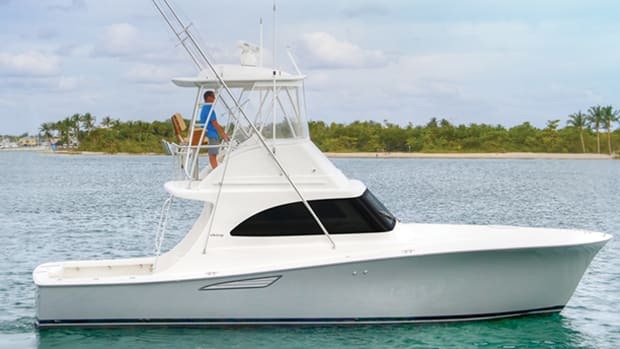 "The V78 is stylish, but not done to an extreme, so you won&apos;t sacrifice livability," explains Viking Sport Cruisers representative James Nobel. Indeed, the spacious layout seems both practical and modern. 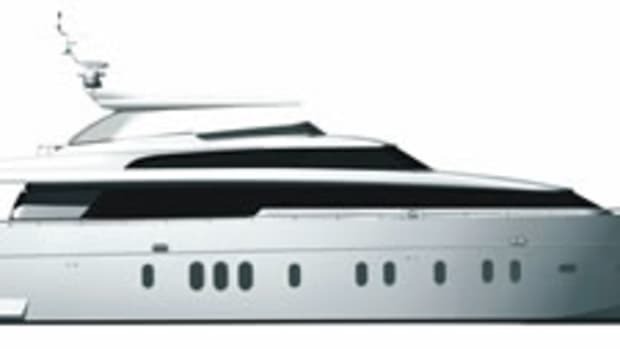 And with optional twin 1,825-hp Caterpillar C32 Acerts (which will be the overwhelming choice for buyers, according to Nobel) her predicted top speed is 37 knots and her cruise speed, 35 knots. 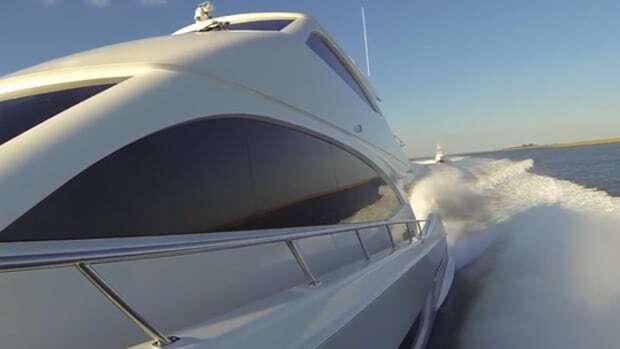 This article originally appeared in the January 2009 issue of Power & Motoryacht magazine.